I recently entered a competition online to win a family day out at Knowsley Safari Park and I won. Knowsley Safari Park is just a short drive from where we live and we have been many times but not recently so I was quite excited. We went on Fathers Day so we knew it would be more busier than usual but still a good day out. When you arrive you are filtered into 3 lanes and it stays like that pretty much throughout the Safari. This makes it easier if a car is stopped in front looking at something you can overtake and carry on. I can't believe Wimbledon's first week is over already. Time really does fly when you're having fun. Centre Court had yet another jam packed schedule on Day Five starting with Djokovic v Simon. I really enjoyed this match because Simon really did step up to the challenge of beating the Wimbledon favourite. Simon served well and with an average speed of 112mph. Djokovic was running back and forth but then there was an incident were Djokovic fell to the floor and looked in agony. He was clutching his left shoulder although on the replay it didn't look bad at all. He had a medical timeout and received some physio. I was flicking between this match and Janowicz v Hewitt. They were rained off on day four and Hewitt was two sets down but on Day five he came out refreshed and managed to grab the next two sets. The final set saw Hewitt leave the competition :( as the sunglasses wearing Janowicz earned a place in the third round. 7-5,6-4,6-7,4-6,6-3. Venus was up on Centre next and the 5 times champion was feeling the pressure. Venus missed Wimbledon last year due to illness but before that the 34 year old hadn't made it to the 2nd week of Wimbledon for 3 years. I really hope that's not the last we see of Venus. Last on centre was Andy Murray and I do think its fair to say it was a one man show. Andy stormed through the 3 sets without even breaking a sweat. He made it look so easy. Agut won just 7 of the 25 games played and it was all over quite quick. The match was won by Andy in just over 90 minutes. Can he go all the way? 6-2,6-3,6-2 Other Results Dimitrov bt Dolgopolov 6-7,6-4,2-6,6-4,6-1 Murray/Peers bt Delgado/Muller 6-3,7-6-3 Day Six saw three favourites of mine on Centre which means I was on the sofa all day watching the TV :) which is a rarity when you're a Mummy but luckily Daddy was there to take charge of the monkeys Kukushkin v Nadal. Once again Nadal started off slow and unsure and seemed to be struggling which is similar to all his other matches played so far at Wimbledon. He has consistently dropped the first set then took the remaining to win the match. Was today going to be the same? Yes. Almost exactly the same to previous. He lost his first set and although he appears strong and confident he shows signs of struggle. Very strange, but comes back in the second like a different person. Is this a new game plan? Can we see you for a little longer in Week Two Roger? So those three matches took up most of my day but a result that shocked me was William (S) v Cornet. 6-1,3-6,4-6 Both the Williams sisters are out of the competition. So that's it. The first week is over and done with, here's to week two. 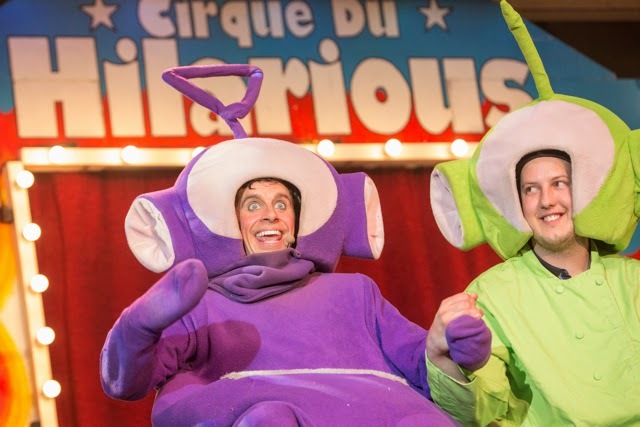 Have you heard of Cirque Du Hilarious? I have. My Mum and Dad went to see it last year and told me all about it. They loved it. 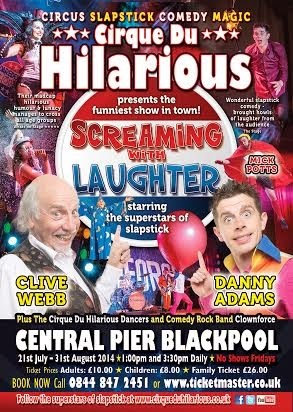 Clive and Danny a father and son duo have been bringing the magic of the circus to audiences across the UK for fifteen years and this summer they are coming up north. Okay so I have to admit I always say I'm not a fan of olives but actually I've never tried them. I did however try them today and I was pleasantly surprised. I had three different olives to choose from and I gave them all a try. Out of the three types I tried these were my favourite. I can imagine they would be nice teamed up with Feta Cheese. Black Olives - Pitted. When I opened the can the smell was quite strong. It almost smelt like soy sauce. They were quite tasty but I couldn't eat too many in one go. Green Olives stuffed with Anchovy. I didn't know these had anchovy in, if I had of known I probably wouldn't have tried them but I'm glad I did because they were tasty. Not as nice as the other two but edible. So since I've never ate an olive before I had no idea what to have them with. Alone or with a meal? I chose salad. It was nice and I would definitely have it again. I am attempting the 5:2 diet at the moment and olives have approx. 150 kcal per 100g so just 37kcal per 7 olives. They also contain up to 77% oleic acid which is an unsaturated fat so can help maintain blood cholesterol levels. I know my salad wasn't exactly exciting but I really had no idea what to do with an olive and if you don't either, this competition is definitely for you. Olive It recipe book has been created to prove that the simple table olive is versatile and delicious and can create some amazing dishes. With over 40 recipes you will be amazed at just how fun cooking with olives can be. Spanish chefs Jose Pizarro and Omar Allibhoy share their love of olives and family trusted recipes that have passed down generations. Olive It recipe book is easy to follow and has something for everyone. If you would like to be in with a chance of winning an Olive It recipe book you can enter below. Day Three was probably my favourite so far, Murray whizzed through his match against Rola. Just 1hr 22 mins of play and Andy was through to the third round. It was 6-1,6-1,6-0 and I felt a little bit sorry for Rola towards the end. I think his heart wasn't in it and he just gave up. I was a little shocked to see Court One half empty while Andy was playing, but I'm sure he still got lots of cheers. I'm not a big fan of Djokovic mainly because I don't see a lot of him really. I always choose to watch someone else. However I did watch his match yesterday against Stepanek and WOW what a match. Day Four was a jam packed fill schedule with Nadal, Federer, Hewitt, Williams (S) and Sharapova all to play. Nadal was on Centre at 1pm and really struggled in the first two sets. Rosol was really strong and raring to go and Nadal just couldn't keep up especially in the first set. The second set was long and went to tie breaker and unfortunately for Rosol he lost. Nadal got his mojo back in the third and fourth and seemed to get in the swing and grabbed the next two sets and secured his rightful place in the Third. I didn't manage to catch Sharapova's game I only saw about two minutes but she won 6-2, 6-1 Evening matches to watch were Muller v Federer and Janowicz v Hewitt I watched Roger and flicked on iPlayer to Hewitt to keep up with the scores. Roger started off well and seemed on form. I always wondered if you are the last match of the day, does the motivation slip during the day. I would hate to wait all day to play. Unfortunately only one set was played on both Federer's and Hewitt's game before the English weather raised its ugly head and rain stopped play. Thankfully Federer was on Centre court and it took just 19 minutes to close the roof and get the temperature right inside. So with Federer winning the first set, the roof closed and play resumed. Federer left the competition at this stage last year, so there was a lot of pressure on him to get through this match. After what look liked a painful fall in the third set Roger was still able to go on and win the Match Other Results from Day Four Williams (S) bt Scheepers 6-1,6-1 Ivanovic bt Zheng 6-4,6-0 all evening matches were cancelled due to rain. I have read so many Summer wish lists recently and it made me think I need to sort through our winter stuff and get ready for Summer. 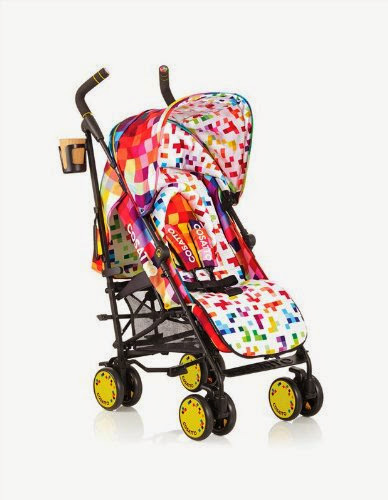 Cosatto Supa Stroller Pixelate Firstly I think little J needs a new pushchair. I love his Cosatto Cuddle Monster but its time to get a new one. The stand has broke off and its worn a little now so to get ready for summer we had a browse at some new prams. After browsing Daddy and I agreed to stick with Cosatto and we love this one. Palm Springs 13KW Steel Gas Patio Heater I really don't like the garden. I hate anything that crawls, flies and buzzes so the garden is a big no no BUT I am trying because big J and little J love it so much. We have just bought a new table and chairs but it can get quite cool outside so I am putting this lovely outdoor heater on my wishlist. We R Sports Trampoline with Safety Enclosure Net Ladder and Rain Cover Big J has had his trampoline for sooooooo long. It has definitely seen better days so its time for an upgrade. 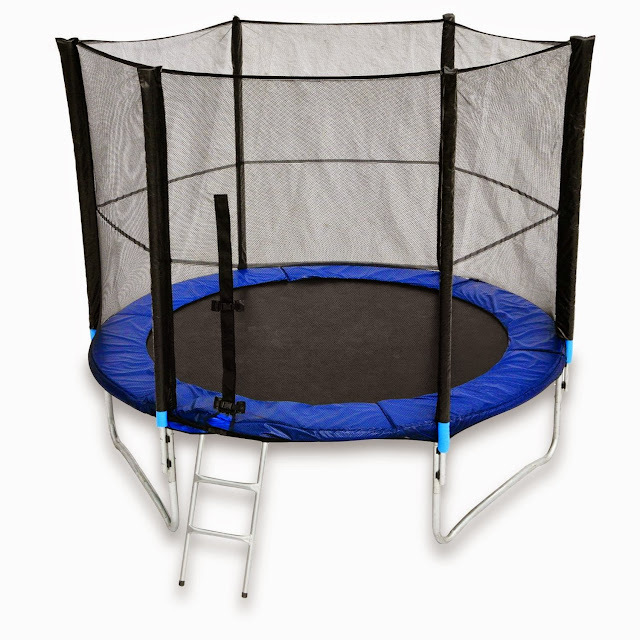 Trampolines are great fun and good for topping up on exercise. It is important to have an enclosure though for safety. 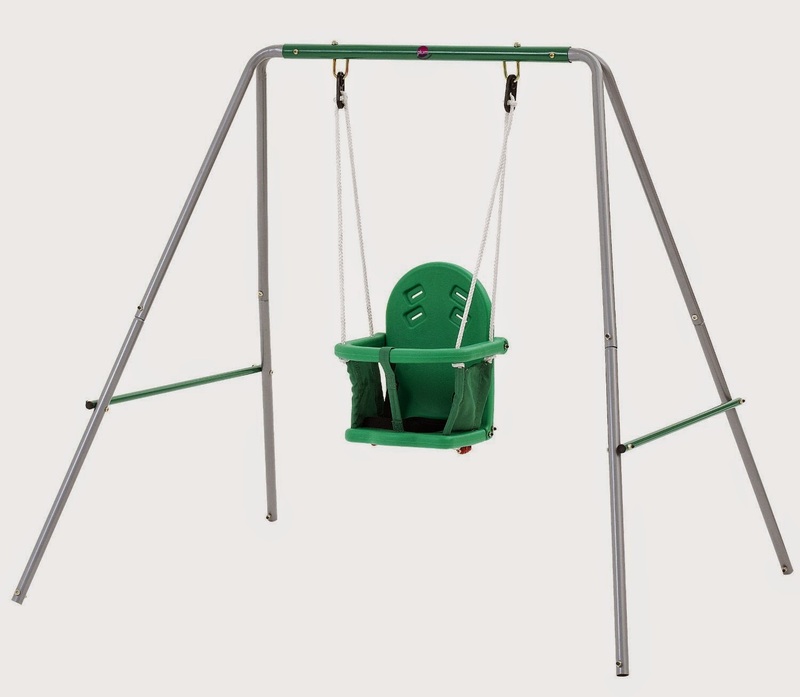 Little J loves going on the swing so we found this great swing set that grows with your little one. suitable up to the age of 10. I would love this for the garden. 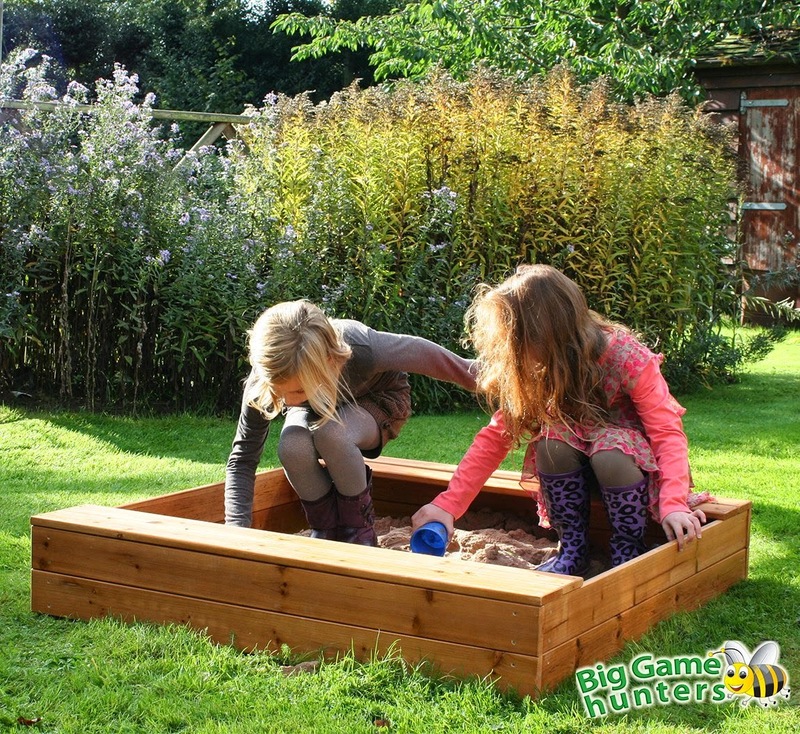 Big and little J both love the sand so this would give us plenty of fun in the garden. Bestway Deluxe Family Pool We always have so much fun in the paddling pool but unfortunately ours has decided to get a puncture and its a little bit small now anyway. Have you prepared for Summer? What's on your wishlist? Summer is finally here which means lots of BBQ's and eating Al fresco but this can sometimes be a pain for me because if I put little J on the floor for a picnic he just crawls away. I have to carry little J's huge highchair into the garden all the time so I can get him to sit still and eat.This isn't a problem anymore because I now have a portable high chair and its brilliant. 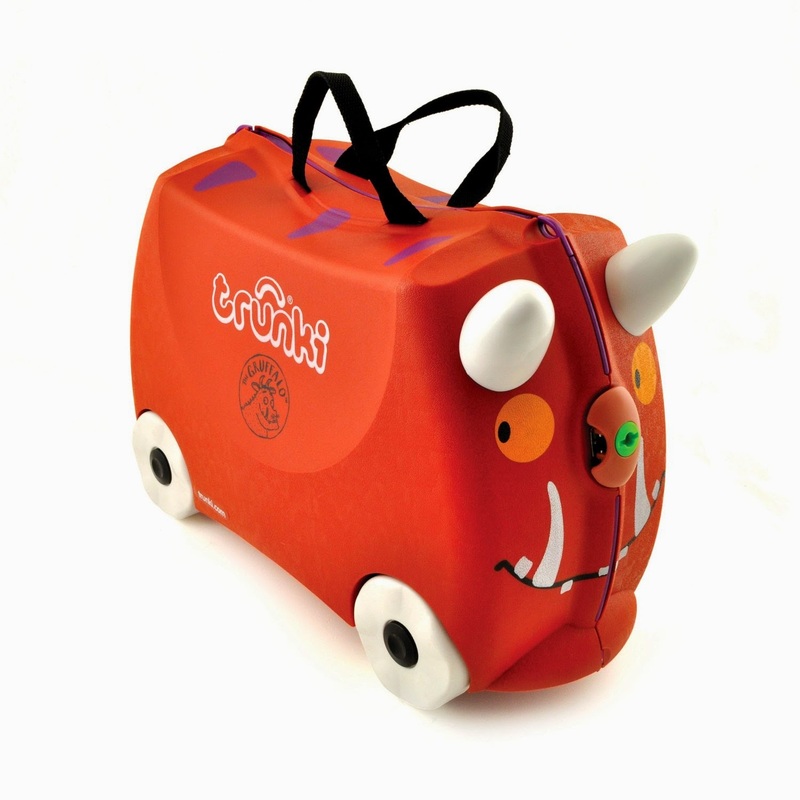 Tomy First Years Disney Cars Booster Seat is so easy and compact to carry round and has made eating outside a doddle.